On many a temple wall in Egypt one will see carved pictures of Ancient Egyptian Gods holding long metal rods said to have possessed incredible cosmic powers. They were called “Rods of Ptah,” named for the Egyptian Creator God, Ptah, and would, over time, eventually become known as “was” scepters. You won’t find much scientific explanation for these Egyptian “magic” rods anywhere in traditional Egyptology. Many scholars have written off tales of their great powers as pure myth. Yet what once seemed mythical, takes on a new perspective with modern-day scientific advancement. These rods actually have roots in the advanced science of Atlantean superalloys. A science that has been lost for centuries and is slowly re-emerging. This knowledge was handed down over 50,000 years ago to the Ancient Egyptians by the Atlantean Order of Melchizedek (the cosmic high priests to the priests) after the third and final upheaval of the advanced civilization known as Atlantis. Those who knew how such science worked shared this knowledge only with the elite few who had been highly trained and initiated into the Mystery Schools of Egypt. 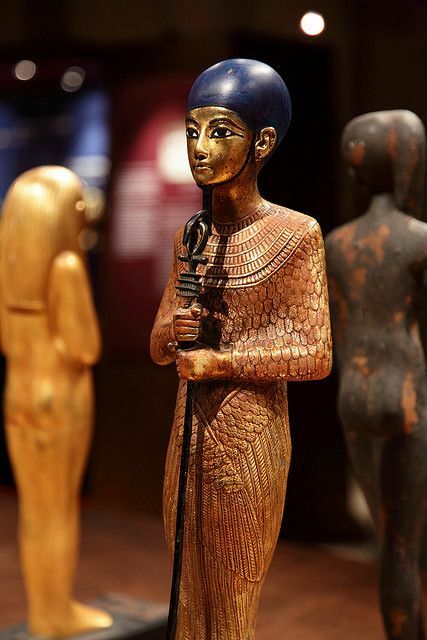 Throughout the Egyptian dynasties, pharaohs and kings would oftentimes show their power by displaying such scepters at their side. Most were nothing more than symbolic props. The real Rods of Ptah, and their true owners, had the ability to transmute energy into matter—a power which only a God would seem to possess. In the earliest of ancient times there was a “Council of Twelve” high priests from the Order of Melchizedek which possessed such rods. Many were from the healing sound Temples of Saqqara as well as the from the Temple of the Prophets at Abydos (which I have written about in a previous blogs). The Melchizedek Priesthood were recognized as Ascended Masters, Cosmic Avatars, that were dedicated to the very highest ascension and evolution of man. Their roots go back even further than Atlantis, to the source of creation and the very origins of humankind. During the unknown years of Jesus, Jesus was initiated into the esoteric ways of this great brotherhood and became one with Melchizedek, the “Lord of Righteousness.” Jesus, having been brought up in the mystical sect of the Essenes, would then go on to model this priesthood, based on these Council of Twelve teachings with his own 12 Apostles. Many of mankind’s most ascended masters have come from the Melchizedek Priesthood. Some have had multiple reincarnated lifetimes (i.e. Lord Melchizedek became Akhenaten; Akhenaten would then became Jesus). So many have asked what were the Atlantean superalloys that created such magic rods? The answer lies in the marriage of both physics and chemistry. All of nature’s alloys have a resonance pattern—like a unique frequency fingerprint. If combined with other resonant alloys through a transmutation process, it can create an atomic blending that releases a powerful reaction by-product. For example, the electrical properties of copper, when equally combined with the magnetic properties of iron, will exhibit super hardness, super magnetism, and superconductivity properties which are required for anti-gravity propulsion and interstellar space travel. The Ancients were privy to this knowledge and they could only have learned it from a higher more advanced civilization where it had already been successfully mployed. Speaking through Cayce in trance, the Source provided specific references to several fusion reactions used in Atlantean metallurgy for the production of superhard metal alloys that were applied in the complex multi-stage fabrication of supersharp swords and electro-surgical scalpels, as well as in the construction of aerial vehicles that were thinner, lighter and stronger than those commonly used in industry today. “We find the entity there made use of the metal known as iron, or the combinations of iron and copper –which have long since been removed from use in the present; or copper so tempered by the use of same with a little of the iron, or in its formation in such a way and manner as to be hardened to the abilities for same to be used much in the way that many of those combinations have been found in the Egyptian, the Peruvian and portions of the Chaldean lands –and more will be found in the Indo-China city yet to be uncovered. “As indicated. In conducting experimentions, by passing a great current through certain compounds or mixtures of metals, that would produce –in smelting– a different metal. The combinations of iron, copper, and of course impregnated with the various forms, which heretofore and in the present have been unable to be used in the forms of smelting that are the experience of man today. Q: How may we work together now to accomplish much that we did in Egypt? During ancient times, the Council of Twelve from the Order of Melchizedek knew that the transmutation processes of copper and iron caused a resonant nuclear fission reaction which created a mysterious force called “Vril” energy. They fashioned instruments (Rods of Ptah) to direct this force. These ancient men of science discovered that when they coupled this Vril force with the power of sound and the directive power of the mind, they could unlock the divine forces of nature and gravity. This allowed them to levitate and move large objects easily. One could say the ancient priests of Saqqara invented the term, “mind over matter.” When the mind was clear, one could perform incredible feats. While some from the Order knew how to use this directed energy for transmutation which would appear as miracles (i.e., Jesus changing water to wine or multiplying a few loaves and fishes to feed the masses), the use of highly tuned rods could tap into even greater cosmic forces. Very few possessed these powerful Rods of Ptah. Those who did were initiated at the very highest levels of the Order of Melchizedek. As a part of the initiation process, each recipient was involved in the construction process of their own Rod. It was a sacred ceremony where their higher consciousness intent, which created a unique cosmic fingerprint, was then infused into the melding process. Their rod would be at their side throughout their life, taking on a sacred responsibility. The Rods of Ptah were “U-shaped” at the bottom, resembling resonant tuning forks that could be struck in ways to create electromagnetic effects. At the top were the symbols of the Ankh (the symbol of life) and the Djed Pillar (a symbol for the spine of the God Osiris and rising energy). These powerful symbols could only be used by a High Priest or a Pharaoh (who had also undergone initiation, which were very few). The Rods could only be used within the right mindset of the operator or the power could be destructive to themselves as well as others. Each initiate pledged a solemn oath to the Council of Twelve and the Melchizedek Priesthood to use these rods only for the higher good. You will not find these instruments in museums anywhere today. The High Priests of the Ancient Mystery Schools destroyed them to keep them out of the hands of those who would abuse the power they could harness, much like the Ark of the Covenant was later secreted away for safety and protection. Unfortunately, good does not always triumph over evil. Some priests from the Order of Melchizedek were targeted and killed for their power and knowledge, many by other temple priests (the Amun priesthood) who were an unsavory and oftentimes corrupted lot. Many from the Order fled the area or took their knowledge underground where it remained hidden for centuries. It is believed that once initiated into the Order of Melchizedek, one is initiated for all lifetimes to come. Many of those from the Melchizedek Priesthood walk among us today, still employing their spiritual knowledge and good works. Subscribe free to the Trinfinity & Beyond Blog. VERY interesting Kathy. As sychronicity would have it, earlier today I was doing research and found a video by Michael Tellinger about ancient sound technology used worldwide for cutting and polishing stone as well as for levitation. In the later part of this video at https://youtu.be/HnbYAYkKng0 he talks about the Egyptian rod-scepters – how they were designed and used by the power elite as a form of ‘currency of power’ that was also built into their pyramids and monolithic temples. So, is this the amazing rod that Moses took with him into the desert? What think you? And, the Ark of the Covenant…a fantastic electrical generator? Perhaps a communication device with the aliens as well? Thank you Kathy. This is fascinating. I’m heading to Egypt in November to learn more about our ancesestry, divine technologies and the wisdom tradition, having an amateur interest in these and sound & light, and If you have any further articles to share these would be greatly appreciated. WikiLeaks: Government Conspires to Keep the People "Unaware"
"I'll Have the Edward Snowden Room, Please"
Life is All About How You Handle "Plan B"
Is Artificial Intelligence Becoming Conscious? Mission to Inner Earth - Is it Really Hollow? The Mysterious Black Knight Satellite - Who Really Owns It? 2016 Year of the Fire Monkey - A Year of Political Revolution? Why Is Earth's Schumann Resonance Accelerating? Why is the U.S. so Medically Backward about Ozone? Why did TSA put an RFID tracker chip in my carry-on? Let's look at our "Stuff"
What Would You Do If You Weren't Afraid? Freak Lightning or Weather Modification? Are We Living in a Multi-Universe?